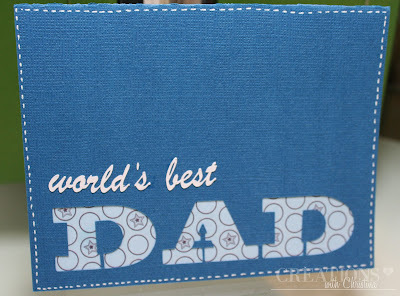 I have two more Father's Day cards to share. These are the cards that Ethan and I gave to Scott....Both cards are Kristina Werner inspired cards. This one is Ethan's card to Scott, I used my new Silhouette to cut the card. "World's Best" is so tiny and it cut out beautifully. I want to send out a huge thank you to Teri (my SBFF) for helping me yesterday...We chatted on the phone for a while and she helped me so much learn the machine and the software. Thank you Sis! 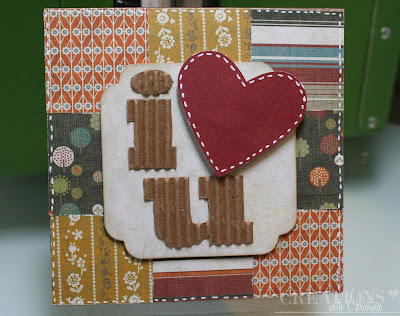 Check out Teri's blog for some great Silhouette info...She's been having so much fun with her machine. Both very beautiful man cards! Great job! beautiful! so...would you recommend the silouhette over the cricut? i trust your judgement whether or not i need to go shopping! lol! Great cards! Happy Father's Day to your hubby. Looking forward to more Silhouette cuts and info from you! Great cards. I am so interested in the silhouette. I hardly use my Expression anymore. I spend all of my money at PTI! Love all the cards on your site today especially the Happy Birthday! Nice job.